I obtained this from the Glasshouse Works in July, 1997. I read the description and expected a variegated giant elephant ear with large splotches of white. Well it's variegated if you look closely enough. The current leaves are still small - only 20 inches. 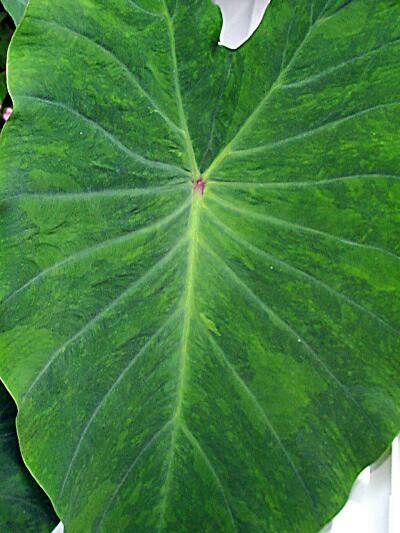 So far, the petiole has more variegation than the leaf.